João XXI, one name with lots of history. João XXI, um nome com muita história. The only Portugese Pope in the history of the Roman Catholic Church. 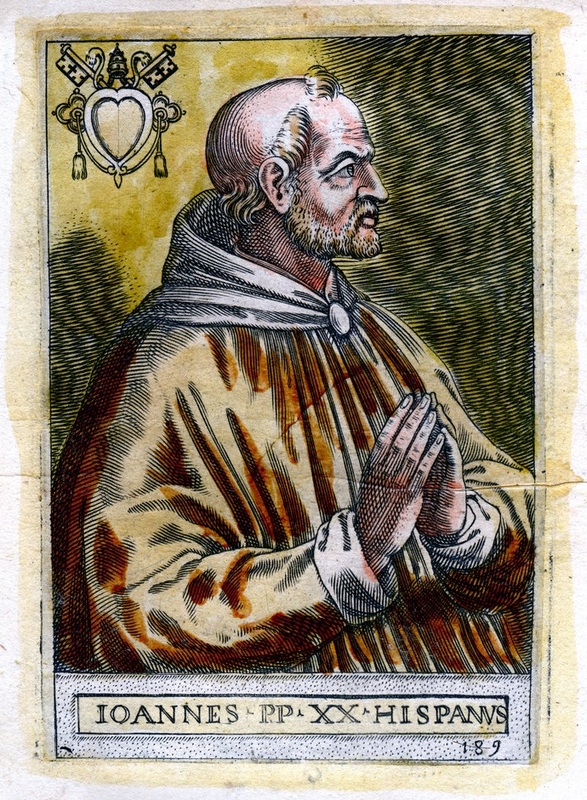 João XXI (1215 – May 20, 1277) born Pedro Julião was Pope between 20th of September of 1276 until his death. Pedro Julião was born between 1210 and 1220 in Lisbona the son of the Doctor JuliãoRebelo and of Teresa Gil. He was also a physician, being the only Pope ever to be so, professor, mathematician and a notable philosopher. He taught medicine at the University of Siena and towards this time also he was made deacon of the Church of Lisbon, an office which he later exchanged for the archidiaconate of Vermuy in the Diocese of Braga. John XXI passed away on May 20th , 1277, seriously injured during an accident at Viterbo Cathedral. He was buried in the Duomo di Viterbo where his tomb can still be seen.